Ford Motor Co. will boost production at its assembly plant near St. Petersburg, Russia, to meet growing consumer demand for its Focus and Mondeo cars. Ford added 500 employees to fully staff three shifts at the plant in Vsevolozhsk, which has more than 2,000 hourly and salaried workers. "Three-shift production pattern is further evidence of the recovery in the Russian economy and increasing demand for both Focus and Mondeo," Gray Greenway, Ford's head of Russia, said in a statement on Monday. The Ford Focus was the best-selling car built by a foreign manufacturer in Russia last year with sales of 67,000 units. Ford will start Russian production of the new-generation Focus later this year. Earlier this year, Ford teamed up with Russian carmaker Sollers to expand its presence in the booming Russian car market. 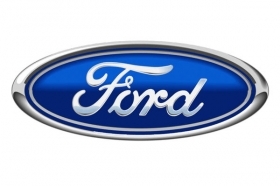 The 50-50 joint venture, called Ford Sollers, is scheduled to start at the end of 2011. In February, Boston Consulting Group predicted that Russia will be the sixth-largest global auto market by 2020, up from its current position at No. 10.